Creating gaming videos is so much fun! Streaming on Twitch can be a blast too! But there is a slight problem. It is hard to stream without a great capture card. There are so many capture cards available. Everyone is giving you different recommendations based on their experiences. If choosing the ideal capture card is confusing you, we can help. We have created a list of the Best Capture Cards of 2018. After much research, we shortlisted the top 10 capture cards for computers, PlayStation, Xbox, Wii and other platforms. Here is our list of the top ten capture cards available on Amazon. Elgato is one of the most prominent names in the capture card industry. It is known for its efficient, reliable and easy-to-use products. The Elgato Game Capture HD60 Pro is no different. Recording gameplay videos and streaming are possible with the HD60 Pro. The capture card works with the PC, Xbox, PlayStation and Nintendo Switch platforms. The HD60 Pro offers built-in features for easy streaming to Twitch, YouTube and other platforms. Thanks to the “instant gameview” mode, streaming with low latency is effortless for gamers. Users have the ability to record a 1080p60 file of gameplay at the same time as streaming content. The Elgato HD60 Pro will require a PCIe connection with a computer to function. It is not compatible with most laptops. A desktop is necessary to run the HD60 Pro, even when capturing footage from consoles. The Elgato website offers more details on the minimum and recommended specifications for running its software on a computer. Users will get 1080p60 quality when streaming or recording through the capture card. It is possible to lower the video quality and/or frames per second as necessary. The maximum bitrate the capture card supports is 60 Mbps. It features a H.265 hardware encoder for seamless creation of compressed video files. 1080p60 quality on a budget. The Elgato software is known for its ease of use. The onboard H.264 encoder ensures unlimited footage at bitrates up to 60 Mbps. The encoder keeps file sizes small, maximizing disk space. Instant Gameview ensures virtually no lag when streaming on Twitch.tv, YouTube or other popular platforms. Master Copy mode allows users to stream and record footage simultaneously without compromising on quality. Stream Command allows users to customize a stream or video layout. It is easy to add webcam, overlays and alerts to the screen. Live Commentary feature lets users add their voice to footage. Uses a PCIe connection, meaning a desktop is needed for proper function. Does not work with some older consoles, such as PlayStation 3. The Elgato Game Capture HD offers all the features needed to stream or record gameplay on various platforms. The Game Capture HD works with PlayStation 4, Xbox One, Xbox 360, Wii U and computers. With H.264 encoding, flash recording, YouTube share and other features, it is one of the most intuitive capture cards to use for content creators. Supporting resolutions 1080p30, 720p60 and below, the Game Capture HD allows for impressive video quality and frames per second to stream and capture content. Users who prefer video quality will choose 1080p30. Those who are more interested in high frames per second will be happy with the look of 720p60 output. Some capture cards only work through PCI or PCIe connections. The Elgato Game Capture HD keeps a content creator’s convenience in mind. The capture card connects to computers through a USB 3.0 connection. That means the card is compatible with high end laptops. Gamers or content creators who are seeking an intuitive experience with ample features will enjoy the Game Capture HD. 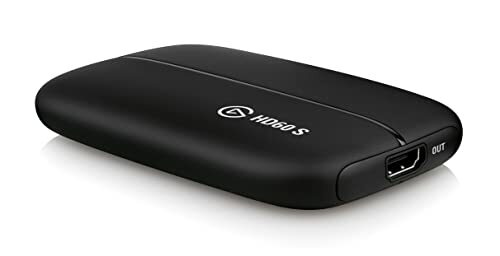 It comes with Elgato’s standard streaming software, it connects to consoles using HDMI, and it features a maximum bitrate of 30 Mbps. High quality streaming and recording on a budget. With advanced H.264 encoding, file sizes are automatically shrunk from their uncompressed versions, saving disk space. No power supply necessary for function. Makes the Game Capture HD ideal for streaming or recording gameplay on the go. USB 3.0 connection means the Game Capture HD works with laptops. Features Flashback Recording, allowing users to time-shift gameplay when necessary. Connect a microphone to your laptop or desktop for added audio. Game Capture HD allows for easy and separate adjusting of microphone and game volume. The 1080p30 limit may be a concern for some users. No ability to record and stream content simultaneously. Users must do one or the other. Maximum bitrate of 30 Mbps is a bit low. Does not work with the Nintendo Switch. 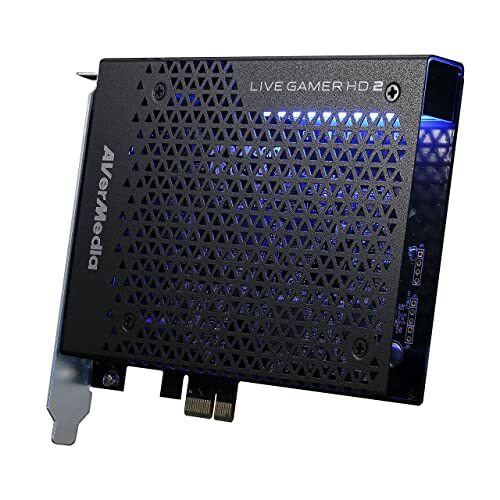 The AVerMedia Live Gamer HD 2 offers incredible video recording and streaming capability to PC users. Those who are hoping to record footage of PC games will find this capture card very easy to use. Recordings will go up to 1080p60 in quality. The capture card has support for uncompressed video output. Those who care about file sizes can choose the compressed option. Works as a plug and play device on the latest versions of Windows. Connects to computers through PCIe. Will connect to consoles with HDMI pass-through. Support for Xbox, PlayStation, Wii U and Nintendo Switch consoles. The AVerMedia Live Gamer HD 2 works with up to eight graphics cards on computers. The RECentral 3 software offers live editing, different quality settings, content overlay and other features. This capture card works with third-party recording software. Programs like XSplit and OBS are usable with the AVerMedia Live Gamer HD 2. The product comes with a two-year warranty from the manufacturer. Full customer support available to United States customers. Users who may have a hard time setting up capture cards can use phone support for assistance. This capture card requires an Nvidia GTX 650 or better to run. The Radeon equivalent is the R7 250X or better. PCI Express connection results in latency-free recordings. Captures videos uncompressed. Ideal for those who want maximum quality in their files. 1080p60 quality is ideal for recording videos and live streaming. Supports up to eight graphics cards for superior performance. RECentral allows for easy live streaming. Includes options for live editing, content overlay and adding audio. A dedicated United States support team. Customers that require assistance can call support between 10am to 6pm PST. Allows users to capture multiple channels simultaneously. Only works with Windows computers. No Mac or Linux support. Uses an older version of the RECentral software. Live streaming on Twitch has never been easier. Want a product that can get you live streaming within minutes? Read on to learn more! 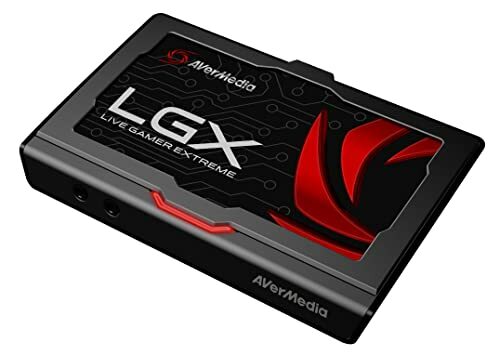 The AVerMedia Live Gamer Extreme is the ideal capture card for prospective streamers and content creators. It supports full 1080p60 video capture. The capture card produces ultra-low latency connections. It is compatible with all consoles, such as Xbox, Playstation, Wii U, Nintendo Switch or the NES Classic. Streaming occurs through USB 3.0 for ultra-low latency capture. Useres can live edit while they are streaming. It is easy to add a webcam, overlay, picture in picture, or other features to a live stream with the AVerMedia Live Gamer Extreme. TimeShift technology lets users record retroactively. AverMedia offers a two-year warranty on the Live Gamer Extreme. Multiple audio connections are supported. Users may record uncompressed videos at 1080p60 quality. Lower settings are an option when necessary. The Live Gamer Extreme will require a PC connection. It connects through USB 3.0, meaning laptops are usable with the capture card. The AVerMedia Live Gamer Extreme only supports Windows operating systems. Mac and Linux users may want to find another card. 1080p60fps quality is ideal for live streaming content on Twitch. Users can capture uncompressed content for the highest quality live streams. The AVerMedia Live Gamer Extreme works with DirectShow compatible streaming applications. Xsplit and OBS are usable. Broadcasting to Twitch, YouTube, Ustream and other streaming websites is very easy. Uses the latest version of the RECentral software. Supports aux and microphone audio sources. Live editing, trimming, merging and TimeShift are possible with the AVerMedia Live Gamer Extreme. Includes webcam, picture in picture, multiple scenes and other unique live streaming features. First-class United States support from AverMedia. The AVerMedia Live Gamer Extreme comes with a two-year manufacturer’s warranty. Requires a PC to use. Does not include a built-in H.264 encoder. Only works with Windows. No Mac or Linux support. Does not work with Windows versions lower than Windows 7. Recording content on the Xbox One has never been easier. The Elgato Game Capture HD60 S allows for effortless content recording through Xbox consoles. Supports the Xbox One, One S and One X consoles. Also works with PlayStation, Wii U and Nintendo Switch consoles. Support for recording PC games is also present. 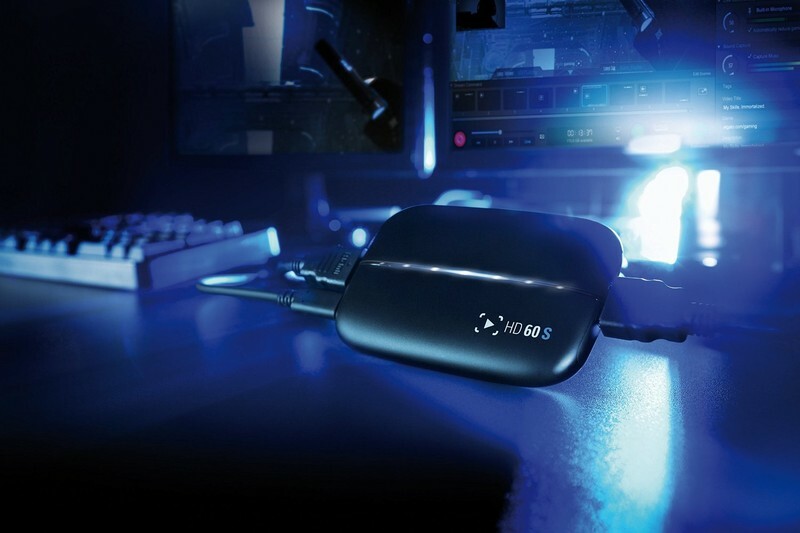 The Elgato Game Capture HD60 S runs through the latest USB 3.0 connection. With USB and not PCIe connectivity, the Game Capture HD60 S is usable with laptops. Built-in live streaming capabilities. Instant Gameview ensures low latency streaming at all times. Users can add webcams and overlays to streams with ease. The HD60 S is so compact that it is usable for streaming and recording on the go. 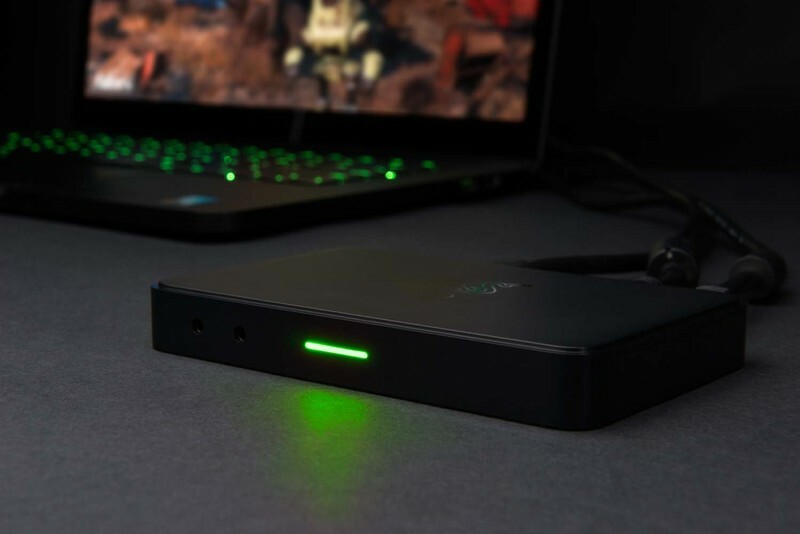 All you would need is a laptop, console and the HD60 S. Users can access the Elgato Game Capture HD software for easy content recording. Support is available for third party software. 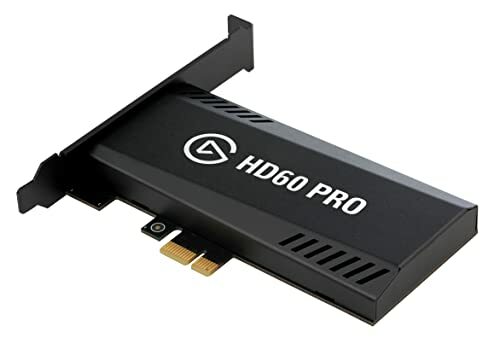 Programs such as OBS are usable with the HD60 S.
While other capture cards may produce lag while recording and gaming, there are no such issues with the H60 S. Users may record 1080p60 video while playing games lag-free. File sizes are reasonable, with 30 Mbps producing around 200MB per minute of recording. Users who wish to record and save content may want to compress it with a H.264 encoder. Full 1080p60 capture allows for incredible quality while recording content. Content bitrate of up to 40 Mbps. Instant Game view produces near-perfect streaming performance for Xbox One gaming. Unlimited stream customization. Add webcam, overlays, alerts, picture in picture, and other features to the stream. Affordable 1080p streaming and recording in a pocketable package. Does not include a built-in H.264 hardware encoder. Requires a PC to run. Only works with Windows 10 60-bit versions, and MacOS Sierra. Capture streaming is not as lag-free as pass-through streaming. Want to stream or record content from your Wii U? The AGPtEK HDMI Game Capture Card makes it possible. 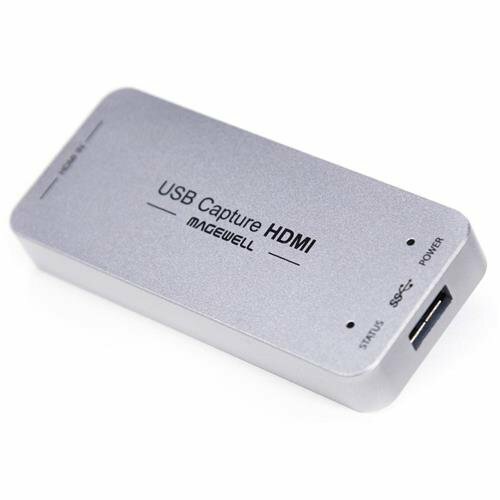 This capture card features USB 3.0 technology for easy computer connectivity. Any console that supports HDMI is usable with the capture card. Users can plug in their PlayStation 3 or 4, Xbox One, Wii U and other consoles to the capture card. AgPtEK’s capture card supports up to 1080p60 video quality. Hardware accelerated upscaling and downscaling is available to users who require that feature. Recording audio is simple with the AGPtEK HDMI Game Capture Card. It supports automatic conversion of audio formats to 48 KHz PCM stereo. There is no need to install software with this capture card. It supports plug and play with all types of computers. It is one of the few capture cards to work on all major operating systems. 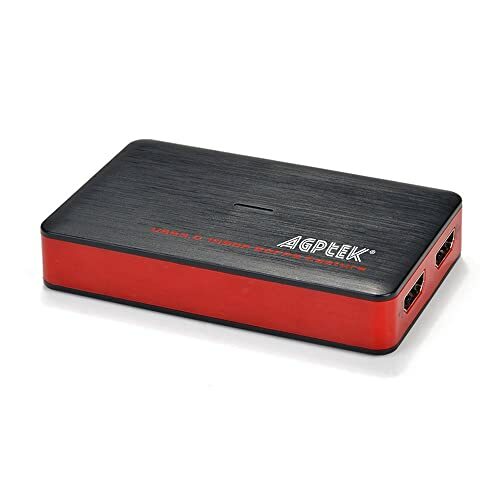 Users who have Mac or Linux computers can also enjoy the AGPtEK HDMI Game Capture Card for recording or streaming content online. The capture card’s form factor is very impressive. It is a sleek device that is easy to store in a backpack for traveling. Users who wish to record footage on the go can use the AGPtEK HDMI Game Capture Card to do so. The USB connectivity ensures compatibility with high end laptops to record footage. 1080p60 quality at a very affordable price. Sleek form factor ensures portability. USB connectivity means both desktops and laptops are supported. One of the few capture cards that works with Linux. Easy to use the capture card with third party software like OBS for streaming to Twitch. No driver installations necessary to set up the capture card. Limited options to record commentary onto footage. Does not come with dedicated streaming software. Want a quality graphics card for streaming onto Twitch? Hoping to buy from a reputable company? The Elgato Game Capture HD60 is an ideal choice for hopeful Twitch streamers. It allows users to record content in 1080p60 effortlessly. The Elgato Game Capture HD60 works with PCs and consoles. Features unlimited capture back to a PC through USB connection. Includes flashback features, one-click sharing to sites like YouTube and Twitter, commentary features, and much more. USB connection ensures compatibility with laptops. Comes with a built-in H.264 hardware encoder. Supporting a bitrate of up to 40 Mbps, the Elgato Game Capture HD60 is perfect for streamers who want to produce quality videos. The capture card is compatible with the 64-bit version of Windows 10. It will work with macOS Sierra. There is no compatibility with Linux machines. The Elgato Game Capture HD60 is the easiest device to use when you are a beginner streamer. Even if you have no experience capturing footage off consoles, you can get started with this device within minutes. All you need is a powerful PC, the console of your choice, and the Elgato Game Capture HD60. Create a free Twitch account and start streaming immediately! Full 1080p60 video capture results in an incredible streaming product. Built-in encoder ensures file sizes are automatically smaller when recordings are saved. Stream command to set up webcam, overlays, graphics and commentary. USB connectivity gives it added portability. Device works flawlessly with high end laptops. Support for all consoles that use HDMI. Instant Gameview mode is missing. Only works with 64-bit Windows. A plug-and-play device that works with all modern operating systems. Supports Windows, Mac and Linux computers. HDMI-based device that will connect to all modern consoles. Usable with PS3, PS4, Xbox, Wii U and other consoles. Produces impressive HD footage out of a very slim and sleek form factor. A tiny dongle that packs a lot of power. Supports up to 1080p upscaled footage. Will offer both streaming and recording capability. Connects to camcorders and other devices for easy footage capturing. Its compact design makes the Magewell USB 3.0 HDMI Video Capture Dongle perfect for capturing footage on the go. Say you are staying at a hotel, and you want to record footage while gaming on your laptop. It is very easy with the Maxwell Video Capture Dongle. It is so small that it can fit into your pocket! Streaming with the device is not a problem. It will work with all modern streaming platforms. Streaming onto Twitch, YouTube, Ustream and other platforms is possible. Depending on the specs of your computer, you may experience some delay while playing and streaming. But that is resolvable by lowering the resolution, or improving your PC setup. Flawlessly converts HDMI signals to USB 3.0. Works with various streaming and recording software. Examples include Xsplit and OBS. Can capture 1080p upscaled footage for uploading onto YouTube and other social media platforms. Easy to use for streaming onto Twitch. Compatible with all major consoles. Practical use suggests 1080p30 is the limit for this capture card. No dedicated streaming software comes with the card. Not everyone can afford to spend $200 on a capture card. If you have a limited setup a cheaper capture card is what you need. Affordable capture cards lack the features of expensive models, but still get the job done. They also work better with older systems. The Pyle Upgraded VHS Tapes to Digital Recorder is such a capture card. The Pyle will work with current versions of Mac and Windows computers. It will also work with older versions. The capture card is ideal for users who may have an older laptop or desktop. It is a plug and play device that uses a micro SD card for storage purposes. 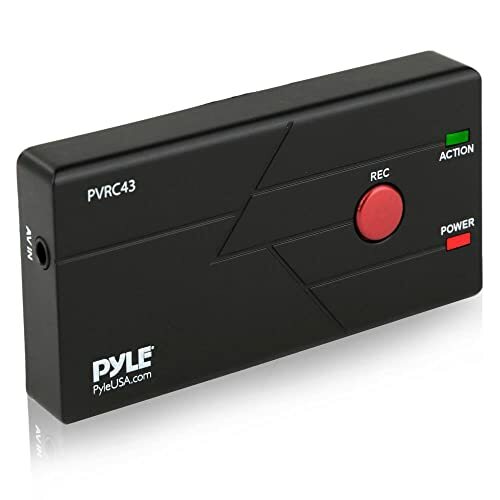 This Pyle capture card is even usable for converting VHS or DVDs into digital video formats. Do not expect HD quality recordings with the Pyle Upgraded VHS Tapes to Digital Recorder. It is meant for standard definition video conversion and capture. An HDMI-AV adapter is needed to connect the device to modern machines. You are not going to get gorgeous recordings to put on YouTube with the Upgraded VHS Tapes to Digital Recorder. It is not meant for that purpose. If you are on a budget, and you want to record some type of footage in the meantime, it will serve as a temporary device. New content creators could use the Pyle for a couple months, before upgrading to a more feature-filled capture card. Very affordable capture device that will product decent output. Works as a plug and play device with computers. Video capture works very nicely. Can be used to convert VHS and DVD footage into digital files. Works with TVs, VCRs, DVD players, digital cameras, camcorders, computers, consoles and more. Resolution limited to 640 x 480 pixels. Limited bitrate of 1016 Kbps. Requires an adapter to connect with consoles. Want a capture card that takes advantage of the Xbox One X? Hoping to play and record PC games at 4K resolutions? The Elgato Game Capture 4K60 Pro is the ideal capture card for users who want incredible video quality when recording modern games. With the Xbox One X supporting many games at 4K60 and 4K30 quality, it is important to get a capture card that can keep up. The Elgato Game Capture 4K60 Pro features 4K60 recording. The ultra-low latency technology ensures perfect recording and streaming. Use the Elgato software for recording and editing. Support for third-party software is present. The Elgato Game Capture 4K60 Pro supports resolutions up to 2160p60, giving it a leg up on 1080p60 cards. This is a premium capture card for premium users. Users who are not interested in recording 4k gameplay may find better value elsewhere. Those who demand the ultimate performance will be very happy with this capture card. The capture card works for PC gaming. Also supports consoles such as Xbox, PlayStation, Wii U and Nintendo Switch. Console users will be happy with the performance and usability of the capture card. It shines for PC users who already own high-end setups. If you run games at 2160p60 resolution, the capture card takes your YouTube recordings and Twitch streams to a new level. The 2160p60 resolution is perfect for capturing Xbox One X and PC gaming in 4k. Future proof given its high resolution. Offers an Instant Gameview mode for easy streaming and recording. Offers ultimate performance in an affordable package. Elgato’s software is very popular among streamers and content creators. Support for third party software is present. Does not feature a built-in H.264 encoder. Requires a PCIe x4 connection. Will not work with laptops. Requires a very powerful PC to run. Minimum requirement sinclude 6th generation Intel Core i7 processor, GTX 10xx or better graphics cards, and PCIe x4, x8 or x16 slots. A capture card can help gamers record footage from the games they play. It is possible to record content for streaming or videos on the latest Xbox, PlayStation and Wii consoles. You may record PC gaming content too. Some capture cards work on all devices. Others only work with computers. More on that later! Capture cards will produce raw footage from the moment you hit record. Content creators can edit that raw footage into shorter videos, or upload the unedited file. Gamers can now stream gameplay content in real time to online audiences. Streaming occurs through specific online platforms like Twitch.tv and YouTube. The buying guide shows gamers what type of capture cards they can use to record or stream footage in real time. Everyone’s needs are different when buying a capture card. Your budget is a consideration. You will want to purchase a capture card that has the features you need, and fits within your price range. The guide will help steer you toward the best capture cards available today. 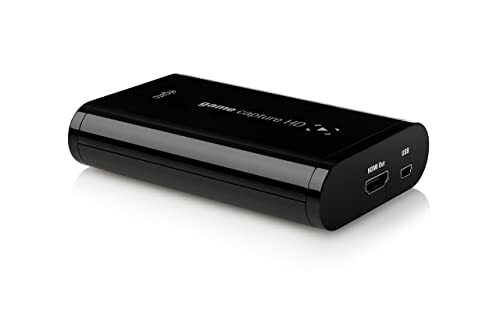 What Features Make a Great Capture Card? It is easy to look at the price tag or reviews for a capture card and make an instant purchasing decision. These are such complicated machines. Each capture card has unique features, drawbacks and limitations. How will you use your capture card? Why do you need it? Answer these questions before deciding on a capture card. Can you find the ideal capture card on a budget? Read more to find out! The image quality of recordings is an important consideration when buying a capture card. Some of the more affordable capture cards have a 1080p30 limit for records. That means the recording quality is at a full HD resolution. The “30” stands for the frames per second of the recording. Gamers on a budget will get effective use out of 1080p30 recordings for both streaming and YouTube purposes. Someone who wants to produce the best quality videos can go in a different direction. High end capture cards offer up to 4k60 video quality. A gamer using such a capture card could capture videos at 4 times the quality of 1080p, and get 60 frames per second throughout the recording. If quality is the most important consideration, a 4k60 capture card is the ideal purchase. 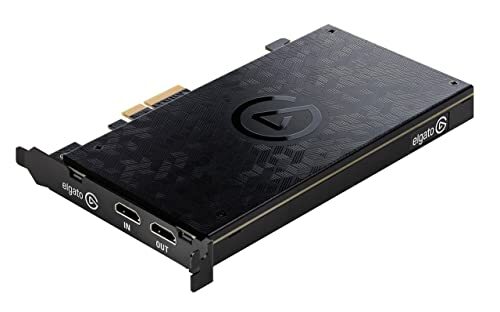 Not every gamer will require a 4k60 capture card, though. Most gamers do not have the console or computer setup to play major games at 4k resolutions. If the goal is to find the balance between quality and affordability, a capture card that can manage 1080p60 recordings is the way to go. You still get the 60 frames per second, which provide smooth playback, and it is in full HD. The input options offered by your capture card will determine the devices it is compatible with. Some capture cards only work with computers. Others allow for cross-platform compatibility. The cards that are compatible with most consoles will usually feature HDMI input. Gaming consoles like Xbox, PlayStation, Wii and computer graphics cards are all compatible with HDMI inputs. Gamers who only want to record footage on their computer can go with PC-specific capture cards. Those who play on different consoles should aim to purchase a capture card with HDMI inputs. We have covered one type of connection. The capture card to the device where gameplay is occurring. The second connection to understand is how the capture card grabs and releases the footage it is collecting. Capture cards can connect to consoles to grab footage for videos or streaming. The capture card must connect to a computer simultaneously. The computer connection is necessary to manage the capture card’s interface. It is also where you can assess the real-time footage that is coming in through the capture card. Capture cards connect to computers in two ways. They will use a PCIe connection, or they will connect through USB 3.0. Capture cards that support connectivity through USB 3.0 will work with high end laptops and desktops. A capture card that uses PCIe connections will not work with laptops, as those ports are not exposed to the user on a laptop. There are some laptops that feature mini PCI-E ports. Those laptops may be connectable to capture cards through a PCI-E to mini PCI-E adapter. Such connections are not recommended, as the quality and stability of the recording may be compromised. If a gamer has a desktop they can use with the capture card, a PCIe connection is no problem. It will fit with almost any modern motherboard. Those who own a laptop should only focus on the capture cards with a USB 3.0 connection. The software used with a capture card will depend on each manufacturer. A capture card from a major manufacturer, such as Elgato and Hauppauge, will have its standard accompanying software. Capture cards from smaller manufacturers may come with third-party software. It is important to assess the quality of the accompanying software that comes with a capture card. It is the software’s interface that will allow for streaming, adding commentary, adding a webcam or other features. Read online reviews, and the experiences of other content creators and streamers. These will give you a deeper understanding of the limitations, issues and features of different capture card software. When you find the perfect balance between the hardware and software features, you are making the right purchase. There is a huge market for capture cards. New capture cards are coming onto the market every year. Do you go with a capture card with PCIe or USB 3.0 connections? Is 1080p60 enough? Do you need 4k60 support? These are tough choices. Some decisions will depend on how you will use the capture card. Others are more objective. The best capture card will allow you to seamlessly record and stream footage in HD from your computer or console. We hope that our list helps you choose the best capture card that fits in your budget. Our top ten list features some incredible choices. Reading through the list, and our buying guide, will help inform your purchasing decision. You did an excellent job reviewing the video capture cards! BTW, as an expert about this, I have some professional suggestions for you. There are some other kinds of video capture cards missing in your article. For example, they may support 4K pass-through, standalone video capture (no need for PC), remote control, schedule recording, Mac and Linux support, etc. If you are interested, please contact me for further communication.